Native Invader is out now. 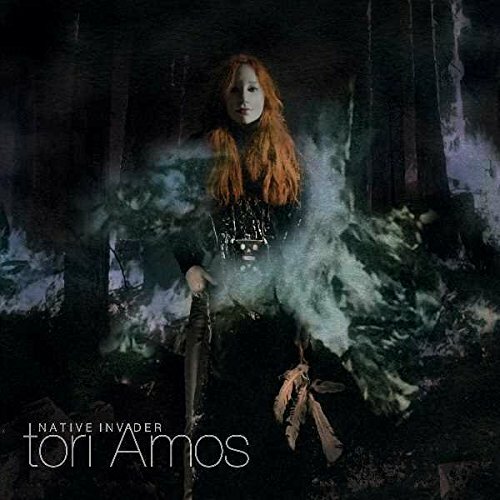 Tori’s Native Invader world tour hits the UK in October. What is bugging me even more is that there’s no lyrics for Bang in the booklet. It’s just 1 word: bang, and that’s it, the empty page. I reckon Tori didn’t have the lyrics finalized by the time she needed to send the artwork into print too? That’s silly. did anyone have issues with the standard jewel case CD. there is skipping on 4 tracks near the end. i got a replacement and it was exactly the same, so seems like a bad press or batch. they were both sealed. All excellent points, Paul and I agree with you 100%. For the money, the fans deserved a lot better. Is it worth complaining to Tori’s record label or official web site about it all ? Or you can get the CD Bundle instead of Vinyl for $350 / £259…..
How can they justify these insane prices? Needless to say loads of totally overpriced signed items still for sale ! Unsold…. My Deluxe Edition came with a front clear-sticker that reads: “New Album Deluxe Version Includes Cloud Riders & Up The Creek Plus Bonus Tracks Russia & Upside Down 2.” I think this conversation about the packaging is slightly pedantic as the actual music remains the most important thing. The world will still keep turning and more importantly: does bad packaging truly dictate that any great album is less-listenable? How about good packaging and good music? I’ll second having both good music and packaging. Packaging is more important than the labels seem to think. Those of us who still cling to physical media are still a decent cash cow for them–and this is why they will make all these reissues and deluxe packages in the first place. But if the package is substandard, then why am I paying a premium for it? I could save money and just move to downloads, and for many people, there is a very, very short and slippery slope between “going downloads” and just pirating tracks or only getting the songs they want. Why bother with albums at all then? Might as well just stream or bootleg. And then there’s no market left to sell to, and they are making a fraction of what they were getting from selling physical product. It would be better to put some effort and respect into developing the physical releases rather than speeding along toward doom. Hell, I still think the labels started putting nails in their coffin when they stopped issuing singles. Suddenly music started seeing much less collectible. It was just a product. The excitement dissipates. People look elsewhere. Remember when he consumer high of a new album was stretched out by a year’s worth of b-sides and remixes? We don’t get that now. It’s all loaded in up front, and rather badly at that. Come on, if someone is that fussed about the tracklist they can easily look it up online! Of course people, can. But you do PAY for the product, so is it too much to ask for them to honour the ‘tradition’ that has been going for 60+ years of printing the songs somewhere on the packaging in the order that the play. It’s in cases like this where Spotify does have the edge! Have the edge toward who? I’m afraid you’re very, very wrong here RJS. Neither Spotify, nor any other streaming service in any way sufficiently compensates the artists. Hence WE ALL LOSE!!! Paul Sinclair’s comment is right on. As such I only buy physical product unless I have absolutely no other option (because truly content does and should trump packaging). However, a properly pressed, properly packaged (and annotated) album can be so valuable from the standpoint of an inspiration on so many levels, for as long as the medium lasts (so far much longer than any digital-only account, or virtual-only device I have owned). Paul’s complaints about uninterpretable song order, and Artur Pivovarov’s comments about missing lyrics for “Bang” are echoed by myself, and I suspect quite a few others who were used to a higher standard for the music media we purchased for so long. I say the record label should be lobbied to correct these errors, even if it means we canvass Tori’s own website to let her know how we feel about it. 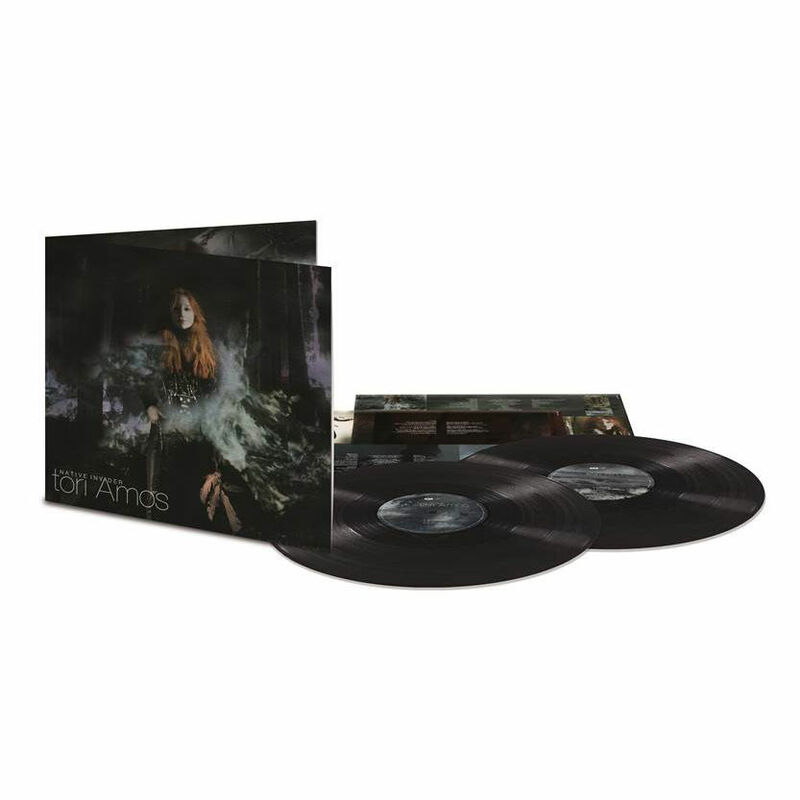 I love her music, always have since my first contact with “Little Earthquakes” initial release, but there’s no reason this packaging flub should permanently, historically blemish an otherwise superb album. I’m more of a cynic and think they the two packages are identical to save cash. No need to have a back cover with additional two song names. No need to alter the inside booklet. It’s just being cheap. I’m with you on finding that disappointing. Totally agree with the comments on the booklet printing. I had to go online for the lyrics, as the booklet ones were unreadable. @Catweazle, get the DE, as the two bonus tracks are excellent. Quite right, Paul. Well done! Talking about Tori’s packaging and digital presentation, the last 3 deluxe editions remasters (Little Earthquakes, Under The Pink and Boys For Pele) didn’t even had digital booklets included (or available anywhere for that matter). The quality of the physical booklets weren’t that great either (didn’t look like they had the originals to work with, colors were a bit off and washed out). Also on this one, you have to buy the deluxe to get the digital booklet, even though the 2 extra tracks aren’t even included in the booklet. It isn’t included with the regular edition. Weird. And cheap. But my biggest pet peeve with Tori releases (or anyone else) had to do with the extra-deluxe-depends-on-the-territory-or-where-you-buy-the-damn-thing tracks. I mean, I am all for paying extra charge for extra tracks but gives us a few options other than iTunes only as low-fi 256 mp3 el’cheapo quality! Give us a FLAC (or WAV) option somewhere easily available damn it!!! Make the damn thing available and we will buy it! Enough already with the iTunes exclusive on the lowest possible quality. That’s why I love buying on bandcamp where FLAC has to be an option. All that said, Native Invader is a great record. I haven’t had a Tori album on repeat like that in some time. If you value the quality though, why not just buy the CD and rip to Flac? MP3 is really only acceptable in cars or on portable devices and headphones. Oh I do buy the CDs already. I thought It was implied. But I am the kind of crazy fan (like lots a different artist fans visiting this website I suppose) who want everything available. And I am talking music here, not so much different editions. I am sure there are even crazier fans than I who really want every different editions worldwide, etc. I just want the music. In good quality. So I do buy the CDs (always had) and now buy the digital download as well when It is available in 24bit or If there is a digital booklet available because It looks better and professional and its less trouble to buy than scan everything myself (which I usually do). Then listen in FLAC while looking at the booklet in the iPad. When I was younger I liked searching for all that, I felt special, I was a real fan, I was such a snob, I was part of the club, bla, bla, bla… Now that I am an old fart, I don’t care that much anymore about all this, I can see the marketing $$$ behind all of It and It kind of pisses me off. All I want is the music because I do still care about that. And I am willing (still) to pay for the whole thing but all that rubbish makes It really difficult. So why not treat us with respect and give us what we want? What’s the point of a deluxe edition or a remaster if its to botch it up in the end? And after her Atlantic Records difficulties years ago, I am pretty sure she is hands on with her stuff now and Its not just the labels fault. Someone wrote here it was slightly pedantic to react this way about packaging… and he is not wrong. But, this is “superdeluxeedition.com” here and not the casual listener. It’s for the crazy fans and our sense of entitlement! The lack of customer focus on some of these editions is becoming an issue. If they continue to ignore what is obviously required by the fans, the fans will lose interest. The commercial awareness or lack of it is staggering to me. Oh my dear this is the worst idea ever. When I got that “deluxe” I wondered what order they were in, horizontal left to right with top first, then saw it wasn’t. I gave up quickly and wondered how discogs and wiki got them right. Tori has become as boring as Annie Lennox and it makes me wonder if she didn’t do this on purpose to generate some buzz cause the music wasn’t going to achieve that. The track listing thing, along with the booklet, is nothing new. For example, Bowie’s “Reality” album did the same thing (track listing did not match booklet). It is annoying, but not worth making a fuss about, imo. A better argument is regarding the Deluxe Edition. Putting it into book form isn’t a huge benefit – one could argue it’s a bad idea given it makes the booklet more difficult to enjoy. Although to be fair, I really liked the book format for the five Brian Eno titles that got the same treatment (until they screwed it up by making The Ship’s book edition a slightly different size!). But – to print the DE on matt paper, and the Jewelcase on glossy, is a major fail. As you say, Paul, it spoils the artwork. All, of course, adding two extra tracks is just ridiculous. You’re buying the album, so give me everything you’re willing to give. If you want a DE that makes me pay more, give me something more than two tracks you’ve clearly just lopped off the JC edition. Yes, that doesn’t come out until late October, so there’s not much excuse for that. I kind of like the lack of track list on the packaging. It forced me to pay really careful attention to the album and find the songs in the book. Also, she has a history of the track list and lyrics being out of order (Choirgirl). I totally hear what you’re saying though. We have certainly come to expect more over the years. But, I prefer two fairly good bonus tracks over a few extra booklet pages or a crappy dvd (Night of Hunters). Just received my signed copy, totally agree with video review. Really lazy release, I love to read the booklet whilst listening along. If song words and credits get any smaller it will be pointless printing them! That’s from someone who doesn’t wear glasses. But I wonder: Is there a “casual” Tori fan in this world? haha Her fanbase is so rabid that they know the tracklist by heart the moment it is posted on her website weeks before the release date. This happens more and more. Best Buy’s exclusive version of Duran Duran’s “All You Need Is Now” had two extra songs listed on an outer slipcase, but not on the digipak or in the booklet, etc. Meanwhile the “deluxe” version of Annie Lennox’s “Christmas Cornucopia” was just a red digipak compared to the standard version in a jewel case with blue cover. No extra tracks, nothing. Entirely personal view of course but I do hate that font on the front cover, and using a lower case t and upper case A is the ultimate faux pas in my pedantic book. Consistently inconsistent use of upper and lower case would be less offensive. I do however think the music is some of her best in recent years. You think this is lazy… have you seen the recent UNKLE The Road ‘deluxe edition’? That one takes the ****. Paul S and Barrie S – I agree, agree, agree, agree, agree! At least the Tori lyrics look like they fill out the page – I hate it when designers try to be ‘arty’ and squash a block of tiny text in a corner but the rest of the page is left blank. My eyesight has always been a bit dodgy, but lately I find myself using my phone to take pictures of the back covers/inserts and lyrics pages, then enlarging them to read the text. In other words Decca should have delayed the release, but didn’t. That’s the problem with artists tinkering with their releases until the “release” (i.e., digital) day! Best rhyming pun bar none! Interesting video and reflects some of my frustrations with CD packaging. I know I am getting on in years, but I am increasingly finding the size of print seems to be getting smaller and the contrast between text and background colours, makes the whole thing so hard to read! I wonder if the vinyl edition is more suitably laid out. Also wonder if the record compny don’t consider CD as particularly worth thinking about too much, as download is how they consider people listen to albums now. I was looking at the track list the other day and trying to work it out, so I agree, but didn’t think too much of it as this is being hailed her best album since Scarlet’s Walk. I haven’t understood those comparisons. I’ve been a fan since Little Earthquakes, and there have been ups and downs (I almost got off the train during the Deutsch Gramophone years), and it has been nice to see her returning to a rock/pop sound with Unrepentant Geraldines and Native Invader, but there’s a spark missing from both of them that used to be there with some of her older work. I remember, at the time, Scarlet’s Walk getting some flack for being too “safe” compared to much of the work that had come before it (a complain that doubled with The Beekeeper), and Native Invader, to me at least, makes Scarlet’s Walk feel far more daring and cutting edge by comparison. I keep trying to find my way into this album, but I’m having trouble doing it, and it makes me really sad, because Tori was one of the centers of my musical life for more than two decades. Artists have gotten so lazy these days, I just got my copies of Boomania and grrrr its Betty Boo deluxe editions – actually surprised at the effort that went into these releases – great inner booklets to compliment the cds, this for an artist of less caliber – Tori though, lately her music has become dull and repetitive, so not at all surprised!! Have to agree. A real diappointment. I didn’t hear one track on this new one I haven’t heard her do before…and much better. 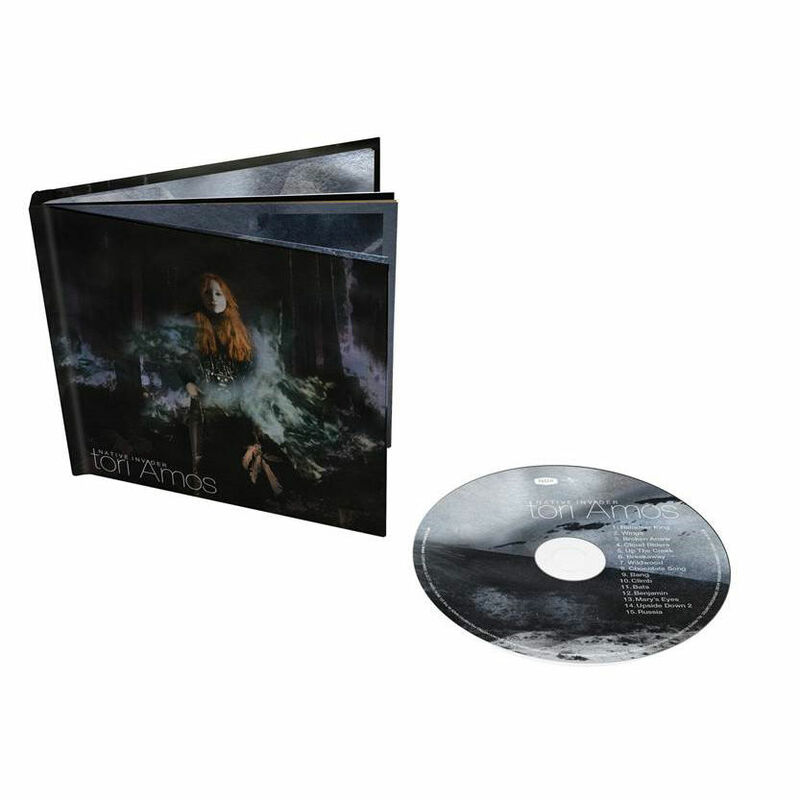 When is a deluxe edition just a CD in a different package, in this instance a cardboard sleeve and 2 extra tracks…Is their a minimum quantity of extra tracks that turns something into a deluxe? Not sure there are any ‘rules’ but what they did was incredibly lazy.